The aim of this study was to examine the relationship between employment and financial toxicity by examining the prevalence of, and factors associated with, financial toxicity among cancer survivors. We conducted a secondary analysis of a sub-sample from the Dutch Patient Reported Outcomes Following Initial Treatment and Long-term Evaluation of Survivorship (PROFILES) registry. Descriptive statistics, bivariate analysis and logistic regression were used. A total of 2931 participants with diverse cancer types were included in the analysis with a mean age of 55 years (range 18 to 65). Nearly half (49%) of participants were employed at the time of the survey, and 22% reported financial toxicity. Those who were not employed were at greater risk of financial toxicity (27% vs 16%, p < 0.001), and this did not vary according to time since diagnosis. The odds of reporting financial toxicity were greater for participants who were male, younger, unmarried, with low education, low socioeconomic status, or without paid employment. Those with basal cell carcinoma had lower risk of financial toxicity, while those with haematological or colorectal cancer had highest risk of financial toxicity. This research confirms that unemployment is significantly associated with financial toxicity and that those with limited financial resources are most at risk. Increased awareness of financial toxicity and its associated factors among clinicians may result in improved screening and appropriate referrals for support services. 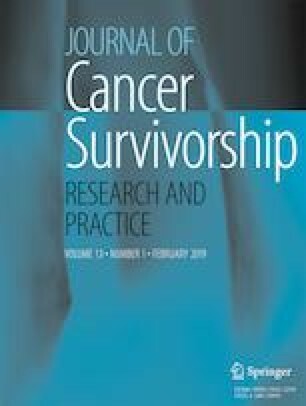 The implementation of effective multidisciplinary return to work interventions, as part of standard cancer survivorship care, may reduce financial toxicity among cancer survivors. This paper draws on data of the PROFILES registry. Alison Pearce is supported by a University of Technology Sydney Chancellor’s Postdoctoral Research Fellowship. Saskia Duijts was supported by funding from the Dutch Cancer Society KWF fellowship (VUP 2013-5866). Bogda Koczwara is supported by the National Breast Cancer Foundation Fellowship. OECD. Unemployment rate (indictor). https://doi.org/10.1787/997c8750-en. 2018 (Accessed on 09 October 2018).